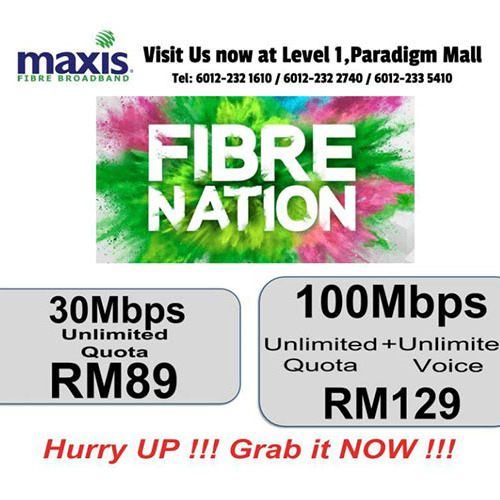 As low as RM89@30Mbps speed with unlimited Quota now!! Most Affordable High Speed Fibre Internet with Unlimited Quota for ALL!! Visit us now at (Lot35&36)Level 1, Paradigm Mall.